Compressed Air Foam Systems (CAFS) attacks all sides of the fire by smothering the fire with a “foam blanket” keeping the oxygen separated from the source and suppressing vapors. It also diminishes the heat by insulating the source thus preventing excess heat from adding to the fire. CAFS is 15 to 30 times more effective than water alone. We use a multitude of foams including foams that are biodegradable and non-carcinogenic. Our CAF Systems have 100’ of hose plus 75’ discharge range at 22gpm and come in a multitude of sizes. 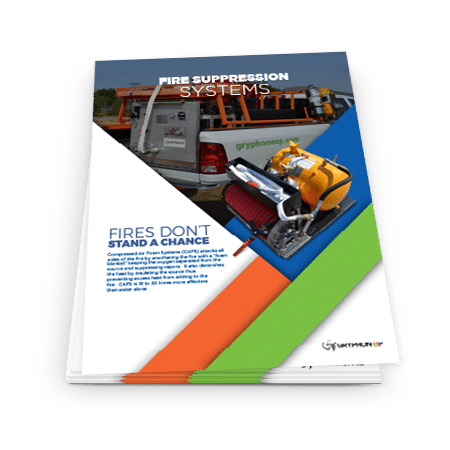 We have a few options for our customers to choose from for fire suppression. Addresses all types of fires and fits in the back of one of our Kubotas. This option allows for a prompt response and easy maneuvering around locations. The Pegasus can take on a wide range of fires from incipient to fully involved hydrocarbon fueled fires. These units produce 1,200 gallons of finished foam. Fits into the bed of our pickup losing some maneuverability but doubling the amount of foam available to suffocate a fire. These units produce 2,400 gallons of finished foam. A fixed unit used at Salt Water Disposal Wells as well as Tank Batteries. These units produce greater than 10,000 gallons of finished foam. 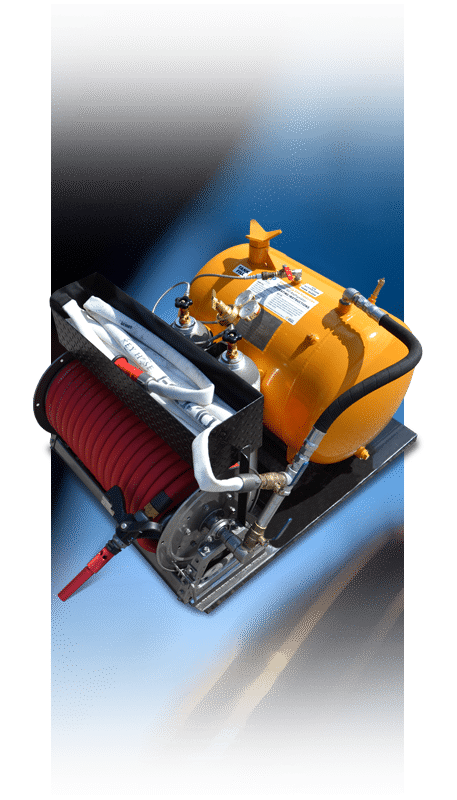 A trailer mounted 250gpm fire pump with load on the fly capability that holds 250 gallons of water to mix with the foam as well as an inlet that can draft water from multiple sources. Seconds count when responding to an oilfield fire or industrial chemical spill. We use Micro-Blaze® microbial products that help our responders safely and quickly attack spills.